This article contains affiliate links. If you click and make a purchase we will make a commission at no extra cost to you. This article was first published in Aug 2017 and republished in April 2018. Singapore is an island but we still crave some rustic chic Robinson Crusoe experience from time to time. But who wants to book flights, suffer the airport immigration queues and pay extra luggage fees when you can take a ferry and be whisked away to your private slice of paradise within mere hours? Lucky for you, we put together this list of fabulous island getaways right across the water in Indonesia. Read on to discover five island resorts in Indonesia you can get to without a flight and escape the ordinary. 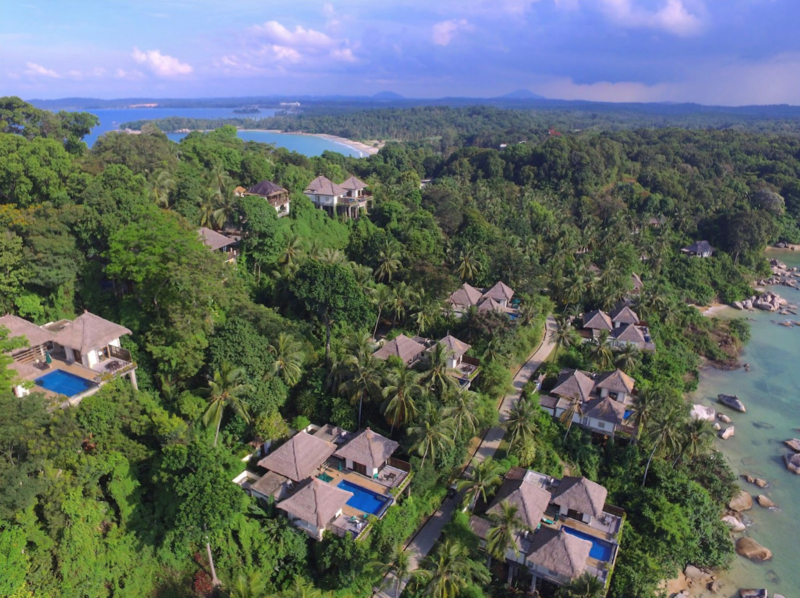 This couples-only retreat off Bintan is the sister property of famous Nikoi Island, one of the few resorts in the world able to book all rooms despite only taking direct bookings. Nikoi’s owners discovered that couples wanted more privacy with the same degree of eco-friendliness and island vibe so they scouted for another island and built Cempedak. Similar to Nikoi the island can be reached after a short boat ride from a pier that is 90min from the ferry terminal in Bintan. 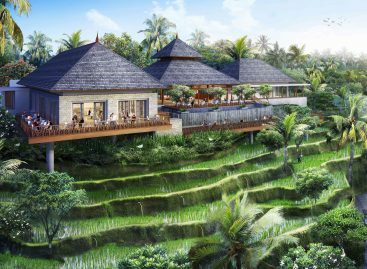 When you get there you will be greeted with private plunge pools and sea views and one of the best eco-resorts in Asia. Talk about romance. What we like about Tempat Senang is its wellness focus. 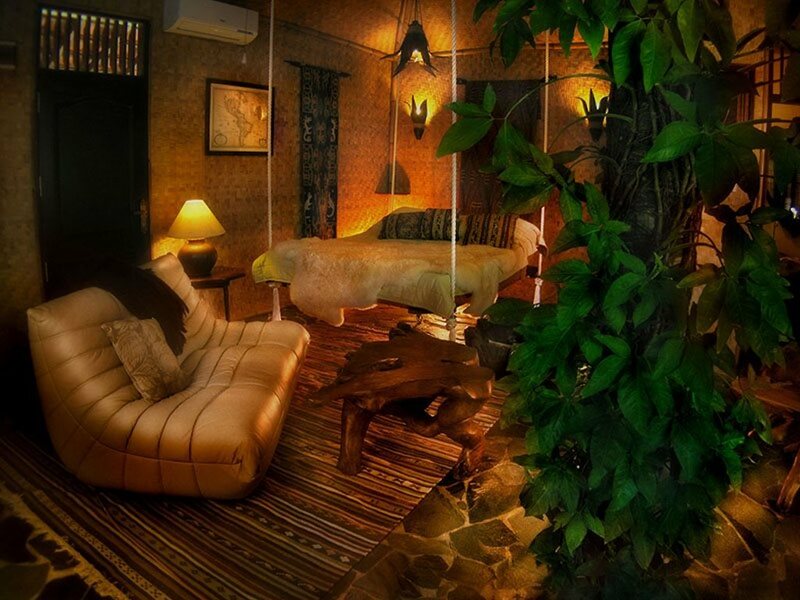 This is a jungle retreat with themed rooms with names like Abu Dhabi Harem Suite or Tree House and which are as fabulous as they are heavily decorated. The common grounds are lush, green and tropical. You could be forgiven for thinking you are somewhere in Bali. But the reason to come here is their spa treatments and packages. Tempat Senang specialises in this and even makes its own spa products on site. 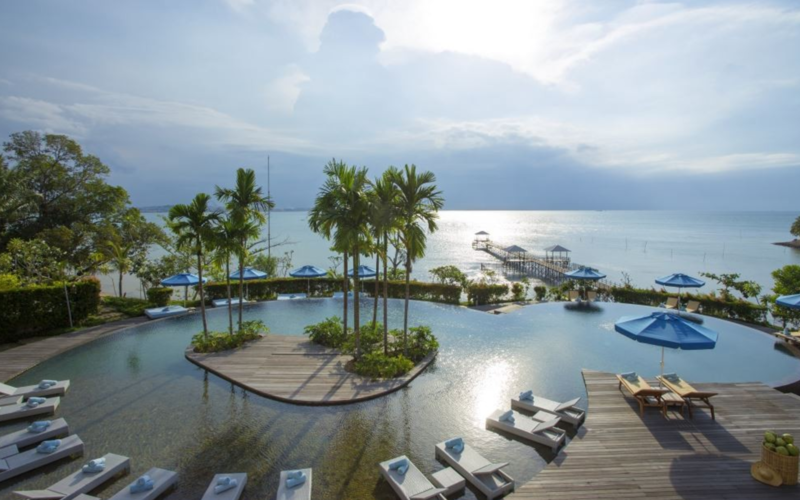 It is a great weekend getaway as well as a fabulous mid-week break as it is in Batam and only a few minutes from the 30min ferry terminal from Singapore. Perhaps the most convenient and accessible island getaway from Singapore. Read our full review of Tempat Senang here. Perfect for a girls spa getaway! If you can’t get out of Singapore then how about a spa day staycation? Here’s our picks for the best Singapore day spas to rejuvenate your senses. The sister property of Pulau Pangkil, with Pulau Joyo you can book a private villa, or the entire island to yourself. Even though the island is so close to Singapore, it’s quite difficult to reach making it a truly remote paradise. First you will need to catch a ferry, then a car and finally a boat. Then you will arrive at your own slice of luxe paradise. The beaches are pristine, the meals are spectacular and the bale huts are tranquil. Rent it out for a max of 25 people to make any occasion extra special. Rates starting at SG$390 for a room and a mandatory SG$90 pp/day for full board. Or book the entire island for SG$4,400. Montigo Resort is also in Batam and within easy reach from the ferry. It combines partial ownership with a resort that has all the facilities. There are rooms and villas and all have wonderful sea views and are incredibly spacious with infinity pools and duplex formats. The resort is large so you can get buggies to move around. There is a beautiful Japanese bamboo tunnel, two pools, a romantic pier and plenty of meeting rooms if you can convince your boss to hold your next meeting here. A very affordable and convenient beach getaway. Rates starting at SG$230. Check more photos and latest availability here. What do you think? Pretty neat job right? The most luxurious option in Bintan is indeed the Banyan Tree. Stand alone villas perched over the water with infinity pools and total romance. The resort can organise the most romantic dinner settings on the beach and is surrounded by genuine jungle which you can explore on walking excursions. Of course, what the Banyan Tree is best known for is the spa, set in a separate building. 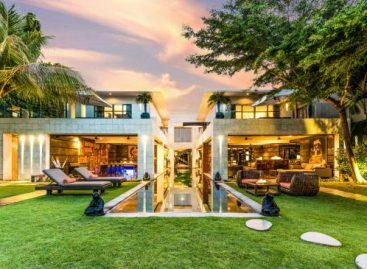 For more options you can also head to the sister Angsana property whose facilities are open to guests of the Banyan Tree. The beach there is also quite fluffy and spread long and wide. If you can bring yourself to leave the villas, that is. 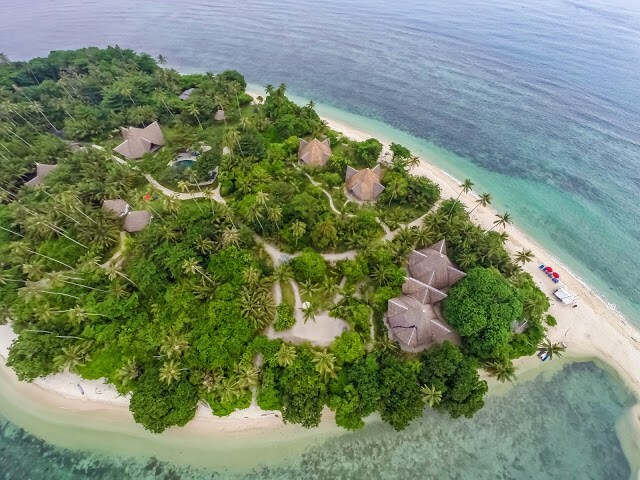 A new private island in Indonesia opened its doors in mid-2017. That’s right, another secluded island with white sand beaches that’s close to Singapore. 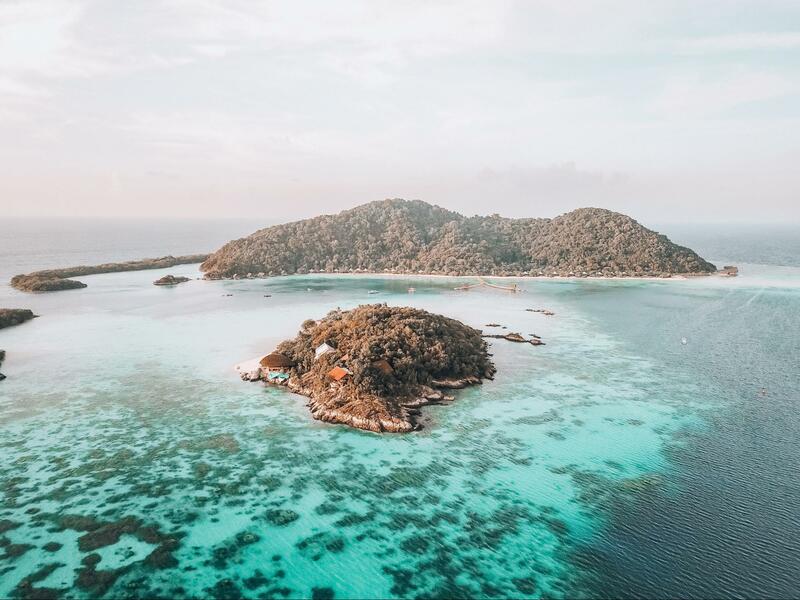 It’s only an hour flight from Batam on an amphibious plane (so we’ve included it in this article). But this luxury Resort is more than just white sand beaches and clear waters. 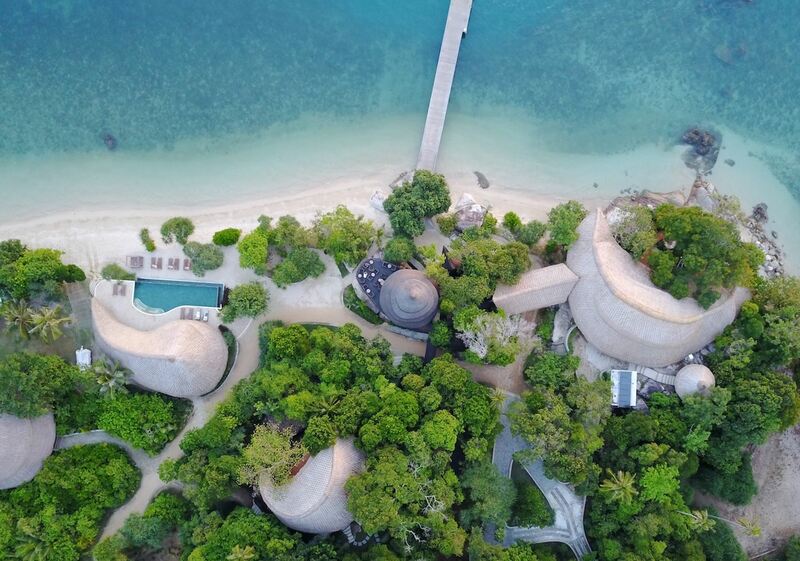 Bawah Reserve is a unique, stylish take on a remote luxury island getaway. There are land and water activities that can easily keep you busy for an entire week. Stand outs of this all-inclusive resort (minus alcohol) are the unlimited spa treatments and the most delicious food you’ll ever taste! 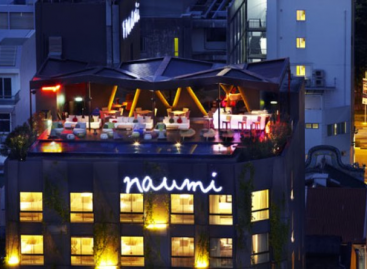 Rates starting at SG$2300 (all-inclusive minus alcohol). Here are some more luxury resorts only a ferry ride away from Singapore.